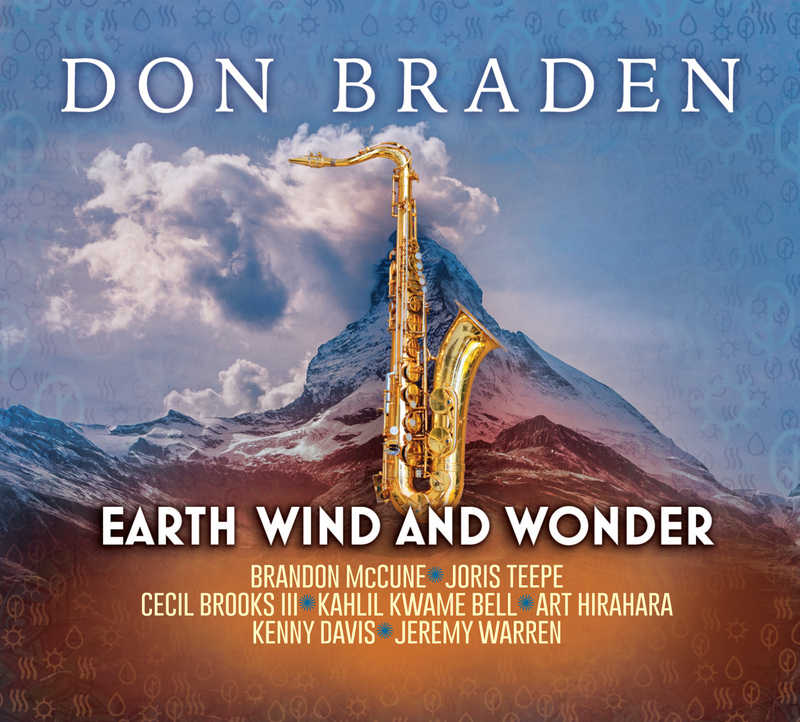 Other artists have tapped into the Motown/R&B songbook, but Don Braden does it most successfully here, focusing on the songs of Earth Wind and Fire along with Stevie Wonder. He alternates quartets between Brandon McCune-Art Hirahara/p, Kenny Davis-Joris Teepe/b and Cecil Brooks III-Jeremy Warren/dr with percussionist Kahlil Kwame Bell added on for a handful of tracks. Braden’s warm Don Byas-inflected tenor glows on the peppy bop take of “Fantasy” and is cozy as all get out on “The Wonder of You” while strutting with joy on “Don’t You Worry ‘Bout A Thing.” Warren sizzles on “The Elements” and gets funky on “Getaway” while Hirahara is graceful on a bluesy “After the Love Has Gone.” With Braden on flute, the team floats on “Visions” and is gentle and autumnal during “I Can’t Help It.” Just as delving into R&B in the 40s brought out hits on songs like “Caldonia” for the likes of Woody Herman, Braden shows there’s lots of songs from Baby Boomers that need to be swung. This is a cooker!